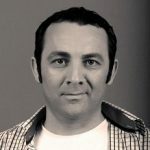 Ilir Tafa was born in Lipjan, in 1974. He is one of the well-known and famous actors in Kosovo and abroad. He played in many films and theatre projects in Kosovo and abroad, especially in Bosnia and Croatia. At the beginning of the studies, Ilir Tafa started mastering the actor’s profession and within a short period of time achieved highly praised performance, in theatre and cinema, both at home and abroad. So far, he played in several films and serials, and in many theatrical performances, with a variety of stage roles as: “Sonte jam vetëm”( Tonight I am alone),”Alo 038” (Hello 038), then “Studio 2” (Studio 2) in the featuring films “Atje ku nuk lind dielli”(Where the sun does not rise) “Shtëpia e tmerrit” (House of Horror), serial films “Kamera me yjet” (Camera with the stars) “Kandidati për president” (Presidential Candidate) “Kaçurrelët” (Curls) “Zogjtë e luftës” (War Birds).Since 2009 he participated in many theatrical artistic projects, films and TV as well. In the whole region of former Yugoslavia he became most famous due to serial film “Lud, Zbunjen, Normalan” (Crazy, Confused, Normal). He was awarded the price of “Best Actor”, at the Film Festival of Kosovo – Gjilan, the Festival of Albanian Comedy in Preshevo, Balkan Theatre Festival in Pristina and the Albanian Theatres Festival held in Debar, Macedonia. Ilir Tafa holds the highest university degree in the field of acting being at the same time a lecturer of Diction subject. He lives and works in Prishtina. Gezim Shabani was born on September the 4th,1987 in Lipljan. He has graduated in Economics for Management and Informatics both in bachelor(2010) and master degree(2013) at AAB College. He has graduated in doctoral studies in the field of Tourism at the University St. Kliment Ohridski in Macedonia. He has attended some trainings in management and finance, also has published numerous scientific papers in national and international journals in the field of management, marketing, tourism. He is certified on accounting and communication skills, is a member of the Board of AAB Institute on accounting and certified auditor. 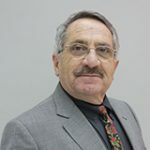 Ekrem Kryeziu was born in 1943, in Peja, Kosovo. He is a film and television director, film author and producer from Kosovo. He graduated at the Academy of Film in Belgrade, the department of Dramaturgy, at the class of Professor Josip Kulundzic. As a student he was engaged at the editorial office of Albanian Language of the Belgrade TV, he worked as a scriptwriter, editor, and as a director. The list of titles of Kryeziu’s works, as an author and director is rather long; so far he has conducted eleven documentary films. He is the founder of the production company of film and music “Labia”. 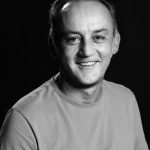 In 1996, he founded the branch of Dramaturgy at the Faculty of Arts of the University of Prishtina, leading it for three years; he worked for several years at this university a professor of dramaturgy. He also deals with journalism and political analysis, and now is ranked as the most productive director of the film production, television and theatre in Kosovo. He lives and works in Prishtina. Agim Vinca was born on 22nd of May 1947 in Veleshte –Struga, in Macedonia. He completed the elementary school in his hometown, whereas the high school in Struga. 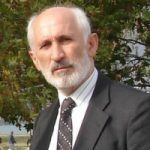 He completed his Studies of Albanian Language and Literature in 1970 at the Faculty of Philosophy of the University of Prishtina, where he also got his Master and Doctoral degree. He is a Professor at the Faculty of Philology of the University of Prishtina lecturing the Contemporary Albanian Literature. Agim Vinca is among the well-known contemporary Albanian poets and one of the most distinguished scholars of the Albanian Literature. Agim Vinca is also engaged with literary translations. He participated in debates and scientific conferences in Prishtina, Skopje, Tirana, Istanbul, Rome, Paris, New York, Berlin etc. He lives and works in Prishtina. Adriatik Kelmendi was born on 20th of February 1978, in Prishtina. He is a lecturer at the Faculty of Mass Communication in AAB College. He is also a speaker, columnist, journalist, and the host of the show “Rubikon” which is broadcasted in “Koha Vision” television channel, where different social topics are elaborated, he is also known as a writer and author. Adriatik Kelmendi lives and works in Prishtina. Arian Zeka is the Executive Director of the American Chamber of Commerce in Kosovo. He was appointed in this position in June 2012. He joined the organization in November 2009 serving as Head of Policy Department, and later promoted to Deputy Director. He promotes the public image of the Association by serving as the Chamber’s “ambassador-at-large,” and liaising on behalf of its Members with other leaders of Kosovo, international business community, and with representatives of local and international government agencies. During his leadership, the Chamber has almost tripled its membership, thus becoming one of the most successful AmChams among 45 AmChams throughout Europe. He is also ex-officio member of the Steering Council of the Arbitration Center. 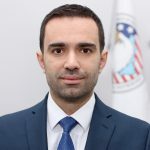 Arian has served as member of the AAB College Steering Council since January 2016, and at the same time he is Member of the Board of Directors of SCARDIAN insurance company, and member of the Jahjaga Foundation Board, and Deputy Chairman of Kosovo Corporate Social Responsibility Network. 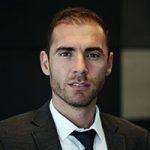 Since January 2009, he is a Senior Lecturer at the Society of Certified Accountants and Auditors of Kosovo, teaching Accountant in Business (P3) and Business Analysis (P11) professional certification modules. 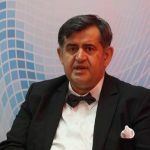 He has also served as Chairman of the Fiscal Consultative Council, Chairman of the Business Community Office at the Kosovo Assembly, Consultant in German Agency for International Cooperation (GIZ), World Bank funded programs, etc. 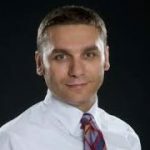 Arian Zeka holds a Master of Science (MSc) degree in Management and is an alumnus of the U.S. Library of Congress Open World Leadership Program. He was born on July the 27th, 1983 in Prishtina. His career in sport began at the age of seven at the Swiss club FC Laussane Sport, meanwhile his professional career began in France’s Ligue 1 in 2000, at the Paris Saint Germain (PSG), then it continued at the Club (OM) “Olimpique de Marseille”, where he was also the captain of the team. From 2009 to 2010, he continued his career in England, in the Premier League team “Sunderland”, where he was team captain too, then from 2010-2011 in Turkey at the Istanbul team “Galatasaray”, from 2011-2014 he played for the Italian team of Serie A “Lazio” Rome, and in the end, he played for the French team FC “Nantes”. 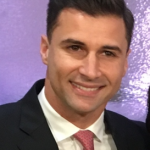 In addition to the teams Lorik Cana played for since 2003 to 2016, he was also part of the Albania National Team as well as its captain, with a national record of 93 games played for the Albania national team. Since 2016, Lorik Cana holds the status of the Diplomat of the Republic of Albania. In addition to his contribution in sports and culture, Lorik has shown his personality in charity, as well. • Being passionate about the Albanian cultural heritage, in 2009 together with his colleague Igli Tare, payed an amount of 20,000 euros to a collector in Italy to restore the head of the statue of Zeus which was stolen in 1991 from the archaeological museum of Butrint in Albania. The statue of Zeus is one of the rarest and most precious values ​​of Albanian and world archeology which is protected by UNESCO. • It should be noted that Lorik, except being a successful captain in football, has shown skills even in moderation. He moderated a special spectacle for Albanians. It was a concert in Vatican on the occasion of the consecration of Mother Teresa, where Lorik and Rita Ora successfully moderated this spectacle which was followed by more than 500 world televisions and millions of spectators. • Lorik is founder and Chairman of the Board of “LorikCana5-Foundation” in Albania and in the branch in Kosovo. The purpose of the Foundation is to support and promote sport, culture and heritage, including but without being limited in the culture of practicing pre-school and school children, in the development of their skills in sport and culture, their active engagement in sport and culture as well as the establishment and support of a new generation oriented towards culture and sport. Nedžad Korajlić was born in 1963 in Bosnia and Herzegovina. He completed the following studies: the Faculty for Security and Public Defence in Skopje (1990), the High School of Internal Affairs in Belgrade (1996), Master’s degree (2003) and Doctoral studies (2006) at the Faculty of Criminalistics, Criminology and Security Studies at the University of Sarajevo. So far he has worked in many local institutions and universities as well as abroad, where he also exercised senior leadership positions. From 2012 he has been engaged as a dean and professor at the Faculty of Criminalistics, Criminology and Security Studies of the University of Sarajevo, professor at the Technology and Business College in Doboj, professor at the “Logoscentar” College in Mostar, and professor at the Faculty of Law of the University of Sarajevo. Before 2012 he worked as a professor at these universities as well: University of Zenica, University of Travnik, University of Belgrade, etc. Since the year of 2006 he has been working as a professor at the Faculty of Law at the AAB College. In 2016 he was also elected a member of the Steering Council of this institution. To date, he has published over 50 papers in scientific journals. He has also published several scientific books. He lives and works in Bosnia and Herzegovina. Shkumin Istrefi was born on 12 Febrary 1969, in Prishtina. His family originates from Veleshta of Struga, in Macedonia. He completed his acting studies at the Faculty of Arts in Prishtina, the class of the actor Enver Petrovci and graduated in 1994. He played in many performances of the theatre Dodona and National Theatre of Prishtina. On 15th of July 2011, as an actor, he was given a post at the Steering Council of the National Theatre of Prishtina. He also works as a Professor at the Faculty of Arts of the University of Prishtina. He lives and works in Prishtina. Fadil Vokrri was born on 23rd of June, 1960 in Podujevo. He was a well-known football player in the Yugoslavian League where he played for FC “Prishtina”, a team of the second division, and scored 33 goals in 84 games. Afterwards, he joined a team in the first division of the Yugoslavian League where he scored 22 goals in 88 games. Vokrri considered the 80’s as the most significant time of his life. In 1984 he debut in the team that represented Yugoslavia, becoming the only Albanian player to be a part of the Yugoslavian representation in football. During his representation of the Yugoslavian team, he scored 6 goals in 12 games that he was part of. In 1986 he transferred to FC “Partizan” from Belgrade with which he played 27 games and scored 13 goals. He received the award as a Football legend in Kosovo, as he was the flag bearer of the Winter Olympic Games in Sarajevo in 1984. In 1987 his fame only grew as he was declared the best player in Yugoslavia. His career continued to flourish in FC “Nimes”, France and later in the Turkish FC “Fenerbahce” where he enjoyed great success before finally retiring in France once again with his family. After the war in Kosovo ended, he returned to help reform the former FC “Prishtina”. In 2008 he became the head of Kosovo’s Football Federation. On 15th of January 2016, he was once again elected for another four-year term as chairman of KFF. 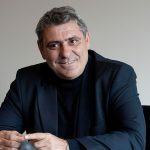 Fadil Vokrri graduated from the Faculty of Business and Management, and besides his mother tongue, he was fluent in French, Turkish, and the Serbo-Croatian languages. He passed away on 9th of June, 2018. According to the AAB College Statute, the Steering Council is the highest governing body of AAB College. the College founder is a permanent member of the Steering Council. With the invitation of the Steering Council, its meetings may also be attended by the chairman of the Students Union or of the one of the Students Parliament, without voting right, where issues relating to students are treated. “Honorary Members” of the Steering Council with full rights. As members of the Steering Council, the following cannot be elected: the Rector, Vice-Rector, and Secretary, Deans, Vice-Deans and the Senate members. Perform other duties in accordance with law and this Statute.